Welcome to the pediatric dental website of Dr. Sarah Smith. 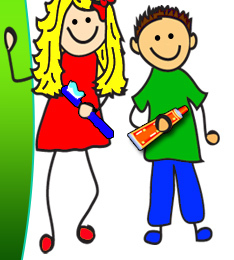 We provide specialized dentistry for children and adolescents in the Greater St. Louis Area. Dr. Sarah is a Board Certified Diplomate of the American Board of Pediatric Dentistry. Our team brings together a friendly and compassionate atmosphere so that your child will have a positive experience. We care for children as if they were our own. Parents are welcomed and encouraged to sit chair side with their children during exams. Our desire is to make sure that your child will learn the importance of dental health that will last a lifetime. Pediatric Dentist St. Peters, MO 63376, Dr. Sarah Smith. Serving patients in the surrounding cities of The Greater St. Louis area. Including O'Fallon, St. Charles, St. Peters, Troy, Warrenton, Chesterfield, Creve Coeur, Maryland Heights, MO and neighboring STL areas of IL.